Maja Houtman’s silver bowl titled To the Point has been nominated for the Arts & Crafts Design Award 2017. 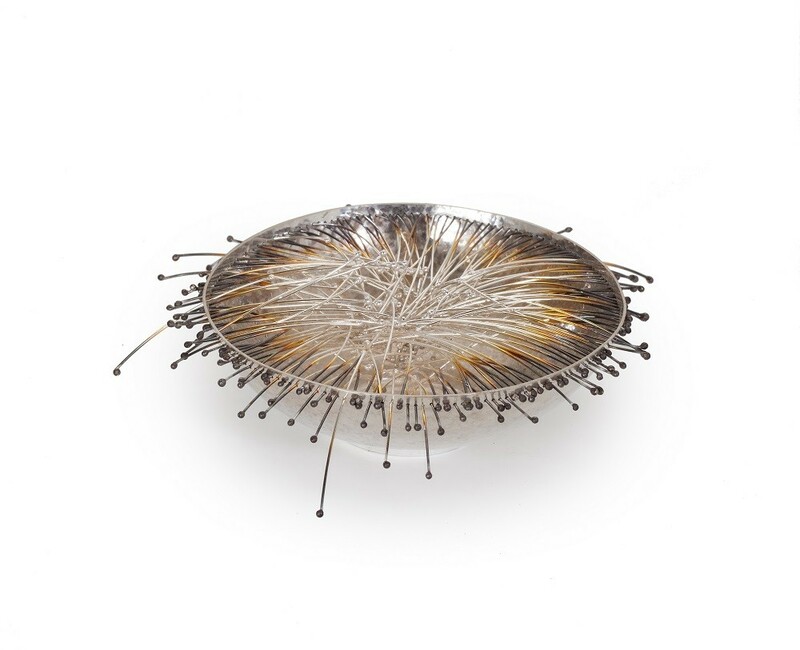 About this design Maja declares: “In the search of expressing myself, I find the combination of solid forging and fragile wire work a new and exciting experience”. This entry was posted in Miscellaneous on 08-08-2017 by Janjaap.